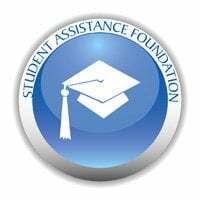 Student Assistance Foundation's mission is to provide students with the knowledge and tools to pursue and fund their postsecondary education. Based in Helena, Montana, Student Assistance Foundation is a nonprofit, 501(c)(3) organization dedicated to providing students with the knowledge and tools to pursue and fund their postsecondary education. SAF uses proceeds from its business activities to offer a range of programs that include grants, scholarships, community outreach, counseling and training on education finance planning.